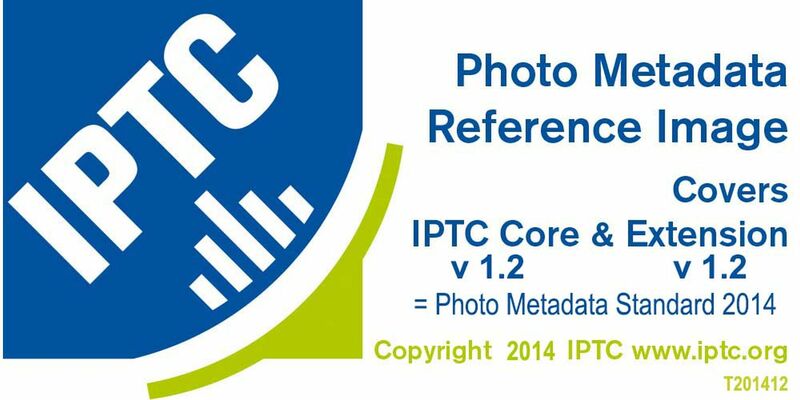 We have uploaded an IPTC test image with embedded metadata and have checked if any of the embedded values are displayed and if so, which ones. As a next step we have tried to save the picture from a Social Media web site or system on our local computer and then we checked what metadata fields are still embedded. Find the test results in the grid below - in short: a green light indicates good results, a yellow one not so good ones and the red light that the handling of metadata should be improved, grey means: was not available for testing. You can read the full details of the tests on this page. It lists	all	details	of the test procedure and what the icons below stand for. Background: This test is driven by the Embedded Metadata Manifesto; an expression of a business need by those who use metadata and claim that metadata associated with an image should be persistent across all workflow steps - including any public display. It is addressed to the parties adding and managing metadata and to the companies running systems which enable media and metadata workflows. Tested in late 2015 Some embedded metadata fields are shown, all correctly, but not the rights-relevant 4C fields. Metadata preserved in SaveAs file. Tested in March 2013 Most relevant fields shown, copyright was overridden, in downloaded file we only found Exif metadata. Save As is disabled. Tested in late 2015 All rights-relevant fields and more are shown, all corectly. Embedded metadata is preserved in the SaveAs and the downloaded image file. Tested in late 2015 No embedded metadata shown. Embedded metadata only preserved in the downloaded image file but not in the SaveAs. Tested in March 2013 No metadata shown, all embedded fields are preserved in the image files. Tested in late 2015 No embedded metadata shown. SaveAs file was downscaled and all metadata was stripped off. Tested in late 2015 No embedded metadata shown. SaveAs file preserved Copyright Notice and Creator in IIM, anything else is stripped off. Surprise: 2 IIM fields contain data generated by Facebook. Tested in June 2013 Metadata not shown anymore, all embedded metadata stripped-off from image files. Tested in late 2015 Some embedded metadata fields are shown, all correctly, but not all rights-relevant 4Cs. Embedded metadata is stripped off SaveAs files but preserved in downloaded files. Compared to 2013: plus = any downloded file preserves metadata now; minus = even high resolution SaveAs file does not preserve it now. Tested in March 2013 A few metadata fiields shown, 'by' was overridden, for any downscaled rendition all embedded metadata are stripped-off from image files, only the Original rendition keeps all metadata. Some embedded metadata fields are shown, all correctly, but not all rights-relevant 4Cs. SaveAs works only for downscaled files - only Exif metadata is preserved. Downloaded files preserved all metadata. Primarily Exif metadata shown, all embedded fields are preserved. Tested in late 2015 No embedded metadata shown. Embedded metadata is preserved in the high resolution/original size SaveAs image file but stripped off in a downscaled file. Compared to 2013: the loss of metadata in downscaled images was not tested in 2013. Tested in March 2013 No metadata shown, all embedded fields are preserved in the Save As image files. No embedded metadata fields are shown. No retrieval of image files possible. Compared to 2013: then SaveAs was possible - with stripped off metadata. Tested in March 2013 Image taken by a smartphone, metadata edited with an app, then posted at Instagram: No metadata are shown, all metadata stripped-off from Save As files. Some embedded metadata fields are shown, all correctly, but not the rights-relevant 4Cs. Embedded metadata preserved in the downloaded image files. Some metadata fields are shown and all embedded fields are preserved in the image files. Save As is disabled. Tested in late 2015 No embedded metadata shown. Only embedded Exif fields are preserved in SaveAs files. Compared to 2013: not tested then. Tested in late 2015 No embedded metadata shown. No retrieval of image files possible. Tested in March 2013 No metadata shown, embedded fields are preserved in downloaded image files but not in Save As files. Tested in late 2015 No embedded metadata shown. Embedded metadata preserved in high resolution/original size images, but IIM and XMP metadata is stripped off in downscaled images. Compared to 2013: the loss of IIM and XMP metadata in downscaled images was not tested then. Tested in late 2015 No embedded metadata shown. Only the embedded Exif fields are preserved in the SaveAs image files, IIM and XMP metadata is stripped off. No embedded embedded metadata shown. Only downscaled images are available for SaveAs and the metadata are stripped off such files. No metadata shown, all embedded metadata stripped-off from image files. Do you want to know what the icons above stand for? In short: a green light indicates good results, a yellow one not so good ones and the red light that the handling of metadata should be improved, grey means: has not been tested. Go to this page and read about our ranking in detail. Who Tested? Members of the Photo Metadata Working Group of the IPTC with contributors from AFPE and in 2013 from the photo metadata survey of controlledvocabulary.com. Read the press release about the publication of these test results.